Am I not here, I, who have the honor to be your mother? One of the great beauties of our Catholic faith is that it is lived in many diverse ways. 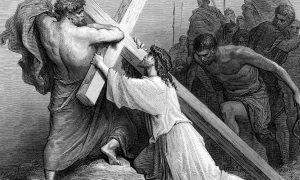 Our lived Catholic faith takes on different customs and cultures and integrates them for the greater glory of God. This is seen very clearly in the different ways that Mary has appeared and is revered as our mother. There are hundreds of apparitions of Mary around the world, with many different messages, but only one Mary. She speaks in every age, leading us back to Jesus and his Church. This is seen very clearly in Mexico, where she appeared as Our Lady of Guadalupe. Her messages at Tepeyac Hill are not just words, as she left us her image, which still sings to us this day. One cannot understand Hispanic Catholicism without Our Lady of Guadalupe. Marian devotion is such an integral part of the faith for Hispanic Catholics in our diocese that, unlike “Christeasters” who come to Mass only on Christmas and Easter, there are many Hispanics who only come on the feast day of Guadalupe (note: I am not saying that either are good). 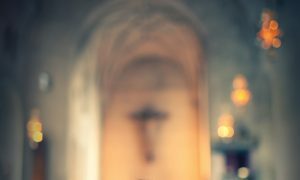 You can enter any Hispanic home and see an image of Our Lady of Guadalupe featured just as prominently as the crucifix and the family portrait. In order to understand why St. John Paul the Great proclaimed Our Lady of Guadalupe as “Patroness of the Americas,” we need to look at how and when Mary appeared. Mary first appeared to a simple and humble Catholic Indian named St. Juan Diego on Dec. 9, 1531, in what is now Mexico City. Hernn Cortés had conquered Mexico 10 years earlier, and over that decade the corruption, violence, human rights violations, smallpox and greed had destroyed almost everything and everyone. Bishop Zumarraga, the first bishop of Mexico, had written the king of Spain in 1529, saying that, “Unless the hand of God intervenes directly in Mexico, all will be lost.” In the history of the world, what happened in Mexico during this era was one of the darkest and ugliest chapters. 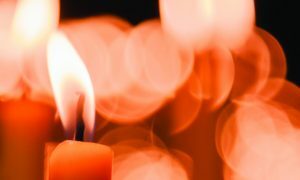 It is in this chaos that Mary appeared with her message of hope, forgiveness and redemption. 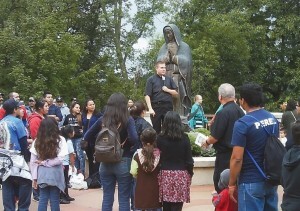 Father Tim Oudenhoven speaks to those gathered for Heritage Days at the Shrine of Our Lady of Guadalupe. 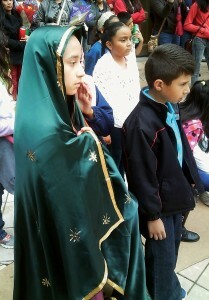 Attendees watch traditional dances and even dress up as Our Lady to celebrate the day. Mary first appeared to St. Juan Diego on a small hill outside of the city called Tepeyac. This hill had formerly been a temple to the mother goddess of the Aztec Indians, who had been the ruling tribe. All of the Aztecs greatly feared this mother goddess and did not try to love her, like we love Mary; rather, they attempted to appease her so she did not bring destruction. The son of the goddess was the sun god. They sacrificed human hearts in order to keep the sun alive and victorious over darkness. These Aztecs, incorrectly, understood that the sun god needed humanity to keep him alive through human sacrifice — think vampires who need victims’ blood. The Indians themselves were a very joyful and technologically advanced people with honor and dignity embedded in every aspect of their lives. When Cortés landed, they thought they had been abandoned by the sun god and were completely lost. They felt everything they had believed was wrong and their gods were dead. Their purpose for living was gone and their future seemed to be one of darkness. The Indians actually believed that the world would end on Dec. 12, 1531, as they believed many signs had occurred foretelling it. It is on this day that Mary gave St. Juan Diego the sign that the bishop asked for that he might believe that Mary was actually appearing. The sign was the roses growing on barren Tepeyac Hill. These roses St. Juan Diego presented to the bishop. 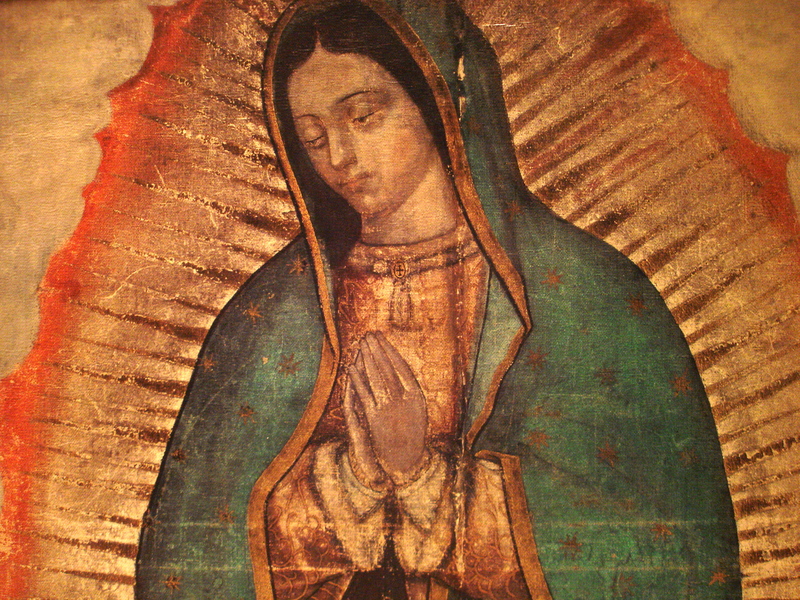 The Image of Guadalupe, which miraculously appeared on St. Juan Diego’s clothing in the bishop’s presence, was the sign to both Spaniards and Indians that Jesus was with them. This image of Mary from heaven has not changed in almost 500 years. This appearance of Mary as Our Lady of Guadalupe is the most popular Marian apparition in the world! Mary is still with us! Today in our diocese, we actually celebrate Our Lady of Guadalupe twice. The first is every September. We have a pilgrimage to the shrine in La Crosse around the 8th for Mary’s birthday party. This pilgrimage has been the largest event at the shrine for a number of years, with this past year bringing more than 900 people in one afternoon to the shrine. As part of this pilgrimage, we celebrate Mary in the traditional way, as it is done in Tepeyac. Our day starts with a walking pilgrimage, as we journey to visit Mary at her house. When we arrive, we begin music outside, as we sing to “wake Mary up.” The song sung is called Buenos Dias Paloma Blanca, “Good Morning, white dove.” The song continues to give voice that we come to greet her who is the Mother of God and love of our hearts. This singing is called Las Mañanitas, which literally means “little morning” or “birthday.” This singing is done with great reverence, joy and enthusiasm. There is much applauding and shouting out of praises between songs, such as “Long live Mary, long live her son.” Many will dance traditional Indian dances with drums and maracas, praising Mary and Jesus with all their hearts and with great affection. While we can fall asleep praying a rosary to Mary, one becomes enflamed with love during Mañanitas. The second celebration of Guadalupe is on Dec. 12, which is the feast day. The Masses on this day are the most elaborate of the year, with decorations, special songs, processions, dancing, consecrations and many confessions. The celebration of Our Lady of Guadalupe is right up there with Christmas and Easter as one of the most important feast days in the Church year for Hispanic Catholics. It is not a holy day of obligation, but is a time when every Hispanic Catholic feels a great need to give thanks and ask Jesus, through Mary, to provide for all their needs. Many Hispanics will enter the Church on their knees for this Mass as a sign of reverence and contrition for sinfulness. After every Mañanitas and Mass, there is a great feast. Just about everyone stays to eat together as family. Many times, there are plays about the apparitions of Guadalupe or readings of her words during the meal. There are also special dances that are done in remembrance of the horrors of the conquest of Mexico and the love of our God.